We are the area's most trusted choice for roofing installations and repairs for homes and businesses. At Tristate Roofing, we offer only the industry’s top roofing brands with customizable options to suit any style of home. We have roofing products that can handle wind speeds of up to 130 mph as well as rain, snow, and ice. Our customers have peace of mind knowing that their new roof is covered by warranties that are the best in the industry, so you can count on us long after your Lynnwood roof replacement is complete. 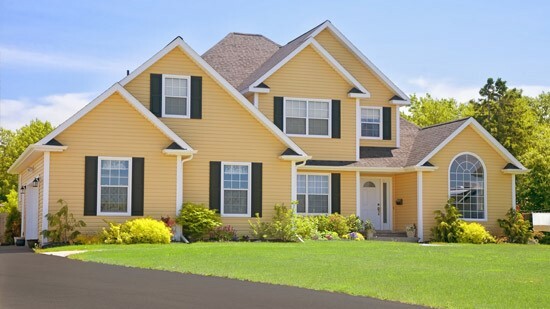 Even a small leak can lead to big problems, so don’t ignore signs of trouble with your roof. Instead, call the professionals at Tristate Roofing for a free roofing repair estimate. Our knowledgeable team has the experience they need to make quick work of your Lynnwood roof repair, so your roof will be back to mint condition and ready to fully protect your home. Our team also provides commercial Lynnwood roofing. As is the case with our residential roofing, you can count on a flawless Lynnwood roof installation by experienced professionals. Our roofs will add to your building’s curb appeal while also helping boost its energy efficiency. Don’t settle for inferior products that won’t last as long; choose the high-performance commercial roofing offered by Tristate Roofing. Doors: With our customizable entry and patio door systems, you get the home security that you deserve with added benefits of strength, style, and efficiency. Windows: The replacement windows that we install come with high-tech features and durable construction to reduce your energy costs and add value to your local home. Gutters: Are your home gutters functioning properly? If not, we provide affordable gutter replacement and gutter guard installation to ensure that your exterior remains protected. Whether you need a new roof or a quick repair, we are the right contractors for the job. Contact Tristate Roofing to learn more about our services, or fill out our online quote form to schedule your free, in-home estimate. Whatever your roofing need, we got you covered®!